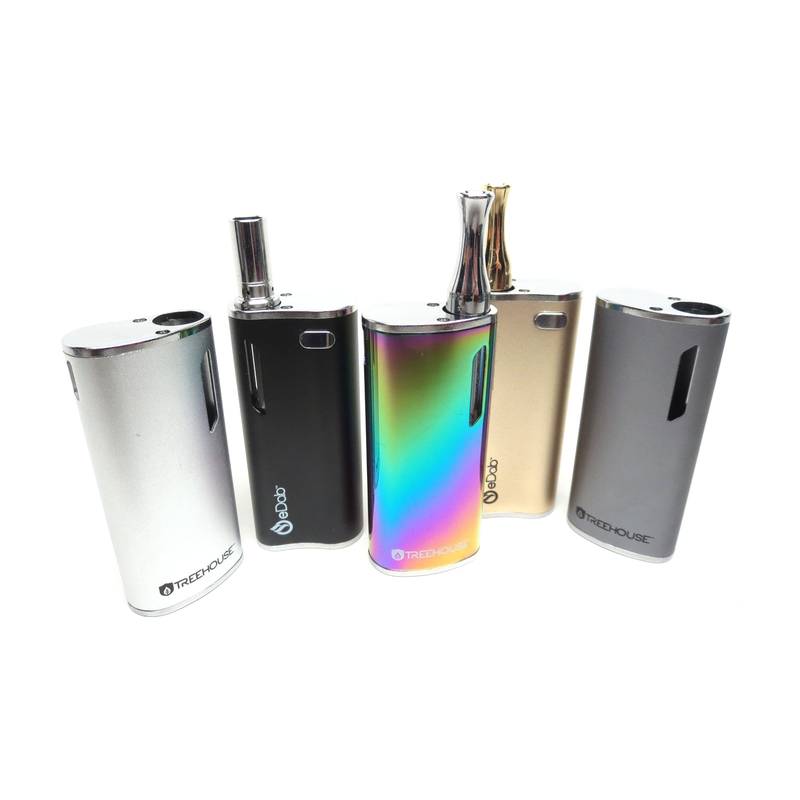 The eDab Treehouse is a versatile cartridge battery system that utilizes variable voltage output control to support a broad range of concentrate heating attachments. Measuring in at 3 inches tall by 1.5 inches long and just 0.5 inches wide, the Treehouse is just about as small as they come. 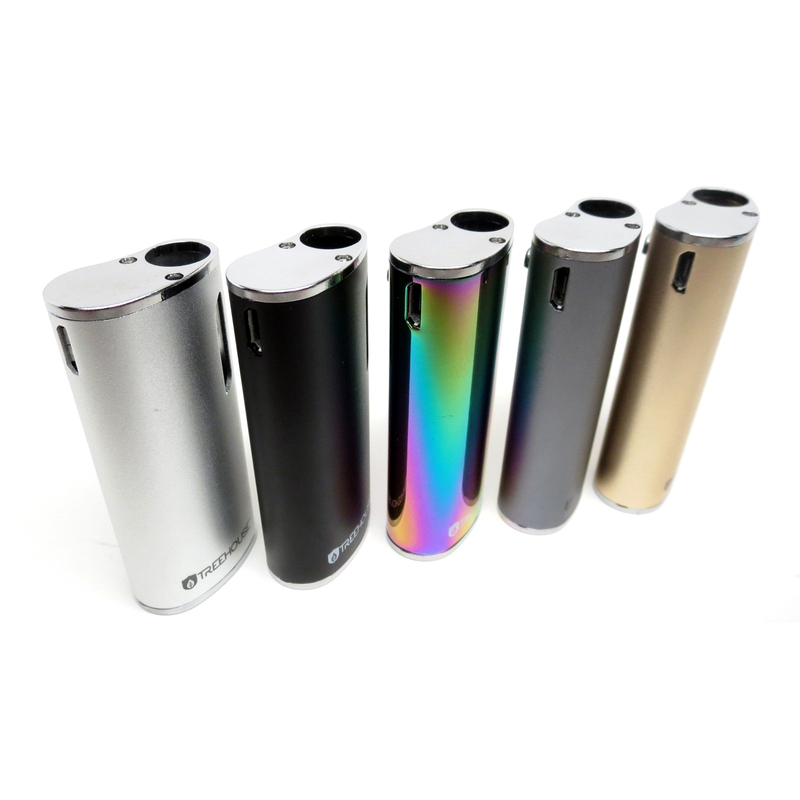 You can easily hide it in the palm of your hand and use the simple one-button operation to take quick & discreet hits on the go without anyone seeing what you are doing. 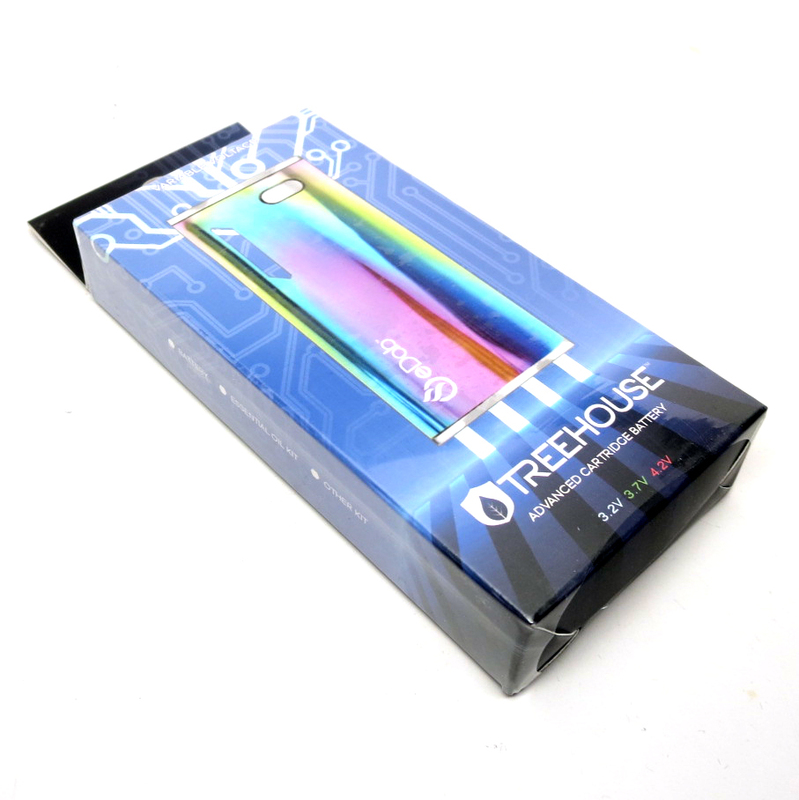 eDab's Treehouse comes with the option of 3 adjustable voltage presets, making it ideal for those who enjoy both thin essential oils and thicker concentrates. To toggle through the three preset settings you will quickly press the power button 3 times, each time the output is adjusted you will see a change in the LED power light. White will indicate the lowest power setting at 3.2V which is most commonly used for oil attachments. A Green LED shows the medium output at 3.7V, this will be your most commonly used as it provides ideal results with both oil and thicker concentrated materials. The highest setting, 4.2V, will be signified by a Red color. This output level can be too high for some oil attachments but will provide a satisfying aroma when working with concentrates. When designing the Treehouse, eDab kept versatility in mind. It is manufactured with a wide internal housing that supports most attachments measuring up to 10mm in diameter. eDab also includes two unique magnetic adapters, each with a 510 threaded connection, that will help to provide optimal results with a wide range of heating attachments. eDab's Treehouse device is stocked with an embedded 650mAh lithium-ion battery that offers days of use between each charge. It is recommended to allow the Treehouse to fully charge prior to it's first use in order to lengthen it's overall lifespan. 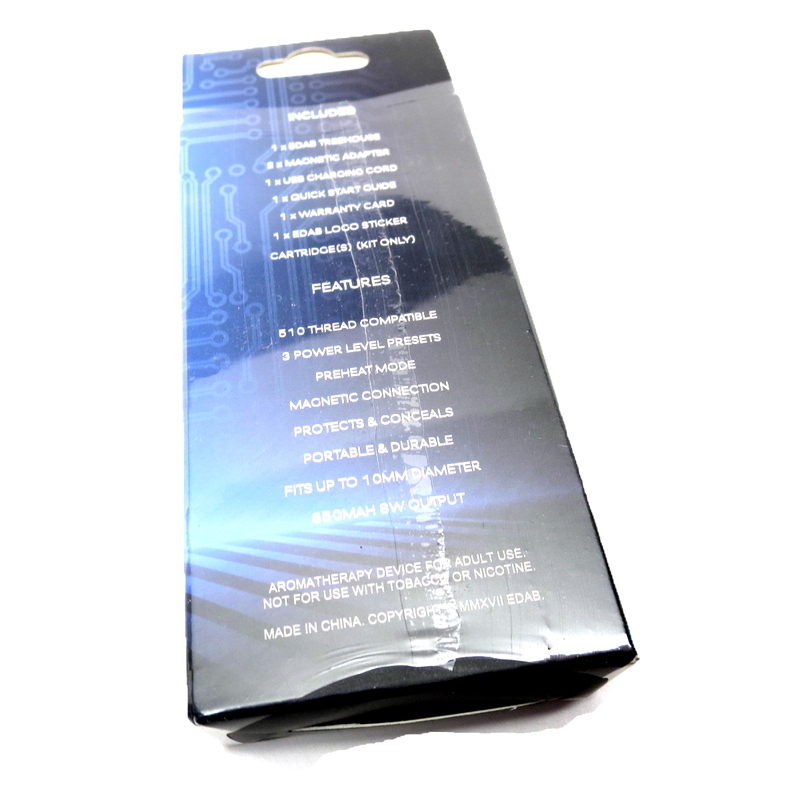 In the box you will find a convenient micro-usb charging cable, connect to a compatible USB port and when the process begins the light will shine red until it eventually turns off, indicating a full charge. 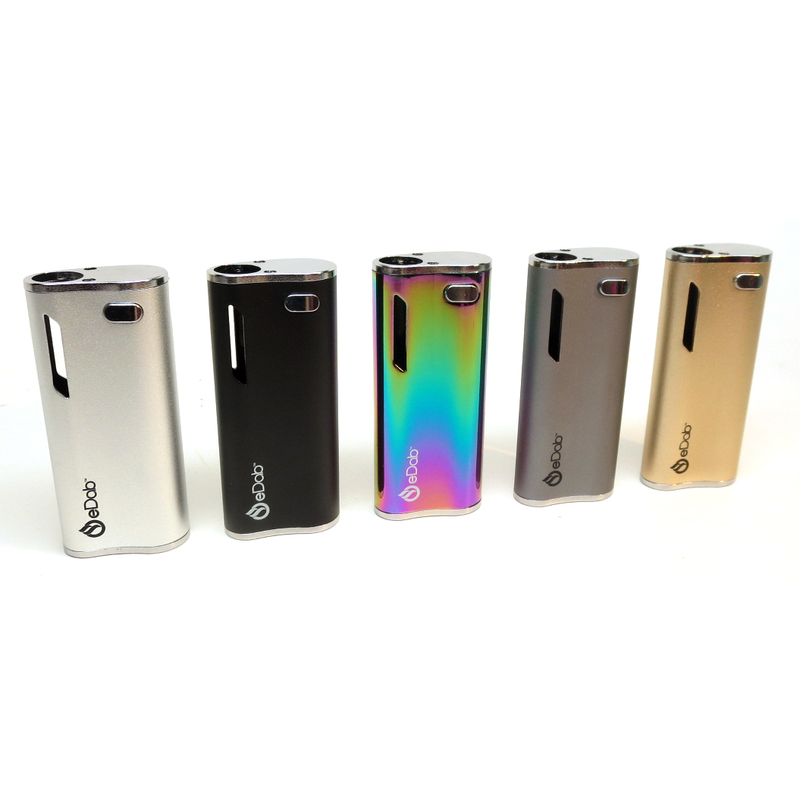 This premium device also comes equipped with a cutting-edge preheat feature that ultimately helps you to get the absolute most out of your oils. When your attachments are nearing empty you may notice some of your stickier material is left over no where near the heating element. Rather than open it up and attempting to salvage what is left, simply press the power button two times while the device is unlocked and the Treehouse will apply a slight amount of heat for up to 10 seconds at a time to help transfer the material left inside down to the element. Great unit for the $. Have paid twice as much for junk. 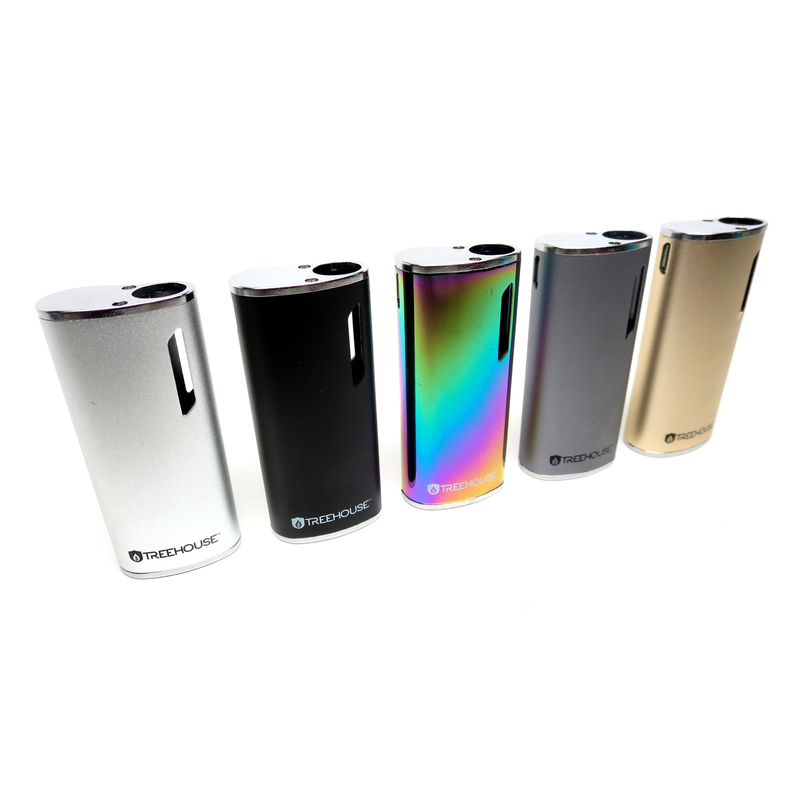 Variable voltage settings and the low 3.2V is ideal for pre-filled 510 oil carts. Works as advertised. 3 modes all work, preheat function works. 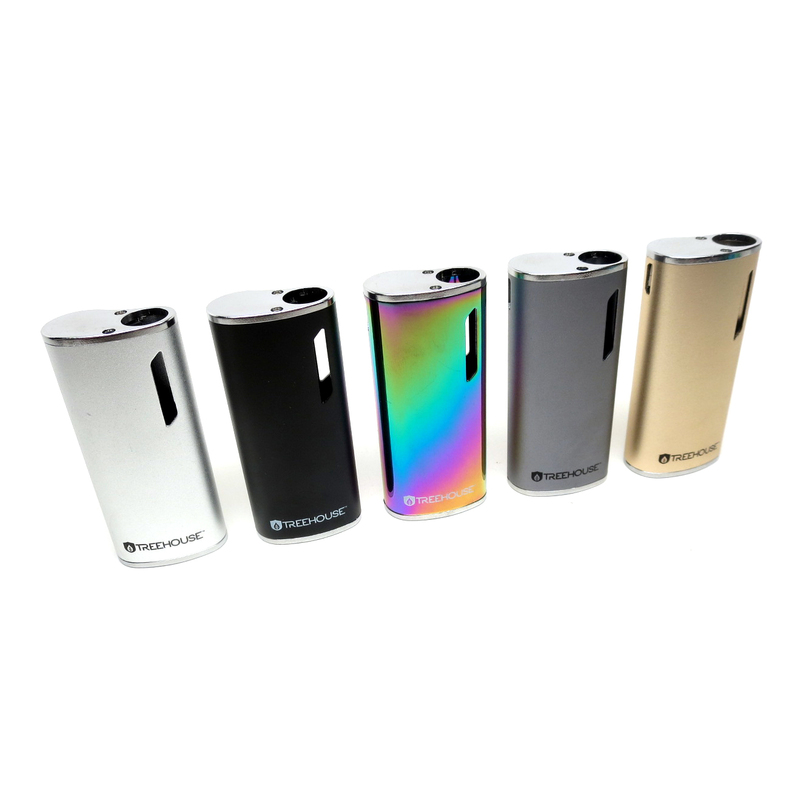 It is very discreet and easily palmable, just the tip of the cartridge sticks out the top of the device. This fits my standard diameter cartridge perfectly. If the cartridges you use are the larger diameter ones they will not fit. Love this little vape, it's pretty, a discrete size, solidly constructed, and comes with 2 different magnetic adapters for quick cartridge changes! Enjoying it so far! I really like the feel of these in the hand. This company has great pricing, products and customer relations.